Probably the most common criticism I face as a keen forager is over the environmental impact of gathering wild foods. This is a reasonable concern. Foraging within the law can often fall some way short of responsible foraging. Respect for nature and consideration of others – animal or human – that may use wild food resources is fundamental to sustainable gathering. Commercial harvesting – especially of wild mushrooms – is gaining a lot of unfavourable coverage nowadays. Many such reports are knee-jerk, simplistic and poorly researched. Many foragers are passionate about their quarry and recognise that their interests and those of the edible species are indistinguishable. Habitat loss poses a much greater threat to diversity than occasional over-picking. Having said that, commercial pickers that know only a few species tend to be ignorant of the impact of their picking and can earn all foragers a bad name. Having made money from foraging in the past, both as a seasonal sideline and full time job, I have now chosen not to sell any wild food. I find foraging to feed my family, share with friends and occasionally exchange bumper crops with businesses to be better suited to sustainable foraging and much more satisfying all round. As foraging grows in popularity, I hope more people will see it as a means of living in harmony with nature, rather than exploiting it. The following articles cover some of the conservation issues I have come across and my reaction to them. Galloway boasts a lot unusual habitats, many of which support rare or environmentally important species. Most of these areas are protected to some degree and foragers should familiarise themselves with the sensitive flora, fauna and fungi within them and restrict their activities accordingly. That is not to say that these are no-go areas or that nothing should be picked. Collecting brambles in Torrs Warren, wild garlic in the Fleet Valley or samphire in Wigtown Bay is unlikely to impact on any sensitive species, so long as it is done carefully and in small quantities. 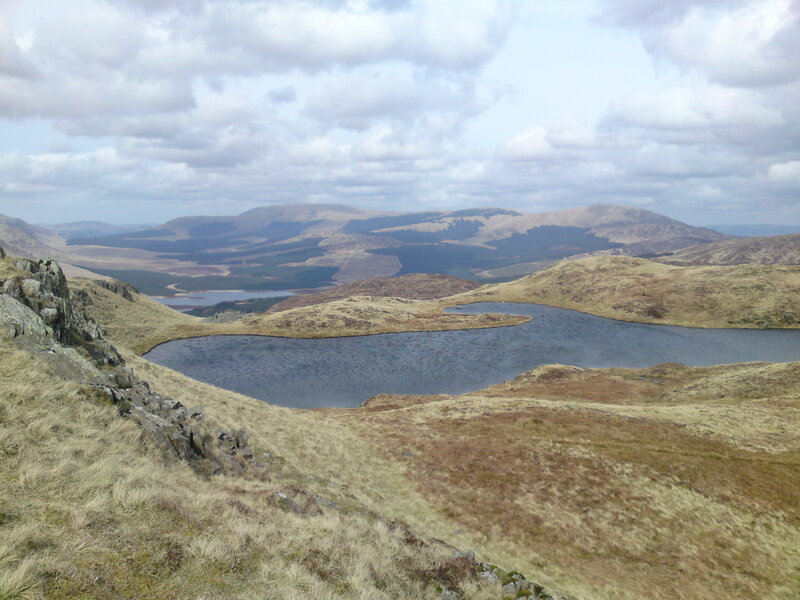 For a general overview of sensitive areas that emphasises the positive nature of protected areas, check out this excellent leaflet by Scottish Natural Heritage. Generally speaking, Conservation Areas and Protected Areas cover larger areas and are intended to safeguard rare and sensitive habitats that may include specific threatened or rare species, while SSSI’s tend to be focussed on a specific species or ecosystem – and can be designated within larger protected areas. For example, Luce Bay and Sands Special Area of Conservation is intended to safeguard a range of unusual habitats, from sand dunes to mud flats which are home to the rare Great Crested Newt. National Scenic Areas are more general-purpose designations, focussing on aesthetics and promoting responsible recreational use and sensitive approaches to development. The following is a list of all the protected coastal areas in Galloway – I suggest you do a little research before visiting them with foraging in mind! Hi I am keen to know where I can collect the odd razor clam to cook for my children who are really keen on seafood. Is Luce bay ok to do this? I will of course only pick a few every now and again. Your web site is s great tool to keep people informed in the very much ancient and drying art of foraging. Thanks Norris, I’m glad you like the site. Foraging was a dying (and drying!) art, but is enjoying a huge resurgence at the moment which will only gather pace as food prices shoot up and more people realise that local, seasonal, fresh, organic and wild is what makes great food! I have never collected razor clams in Luce Bay, which is not to say that they are not there – they almost certainly will be in some areas. All I can advise is to wait for a very low tide (a couple of days after full moon, normally early evening) and have a go. There are plenty of tips on the Spoot Clams seasonal notes page. It is my policy not to tell people precise locations for foraging specific things. Most wildfoods can cope with steady, gentle harvesting, but if everyone went to the same place, they would soon be under pressure. Also, the most pleasure I get from foraging is when I discover something new myself – by research, trial and error, and pot luck. I hope it doesn’t sound patronising to say I have no wish to deny this pleasure to people – even when they think they would like to be told exactly where to go! I am planning a couple of guided coastal forays in the spring (see foraging events programme) where I would hope to find some spoots and plenty more besides – maybe you could come along to one and get a ‘feel’ for it? Happy hunting, and please let me know if you strike gold!